In the place where the Monastery stands, the remains of a tower from the Roman era and an old station or hostel testify to its original function as a resting place and refreshment for travelers who walked the road on foot. With the decadence of the Roman Empire, the civil and military authorities were no longer able to provide the necessary services and services to the travelers. In 1569 the land was given to the Capuchin friars, who built the monastery there and kept it until the Napoleonic age. It was suppressed by the Government of the Kingdom of Italy in 1805. The religious abandoned it and everything went into decline.In 1990, thanks to a careful conservative restoration, the dwelling was brought back to its original function of hospitality. THE RESTAURANT The Relais has two restaurants. The most famous is in the famous the Espresso Italian Guide. The chef proposes regional meals with personal innovation. The Description 14 double room in a Charme Hotel are housed in the rooms of the former convent of monks. 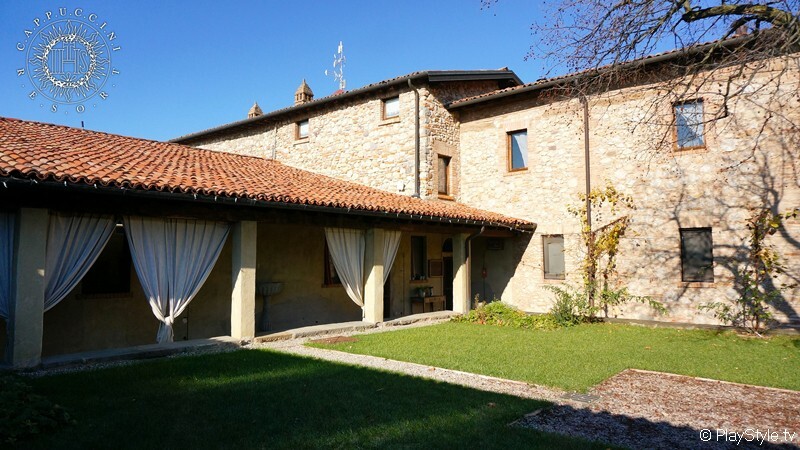 Unique and stylish property with attention to detail; All 14 rooms are adjacent to the restaurant, to Osteria and a few meters from the Spa. The feeling of a reserved place, detached from the chaos. The Description An ancient villa near Brescia, in Franciacorta. A beautiful cloister, 14 double rooms, two restaurant and a SPA for your best relax. The Description The Resort is a special place for wedding. 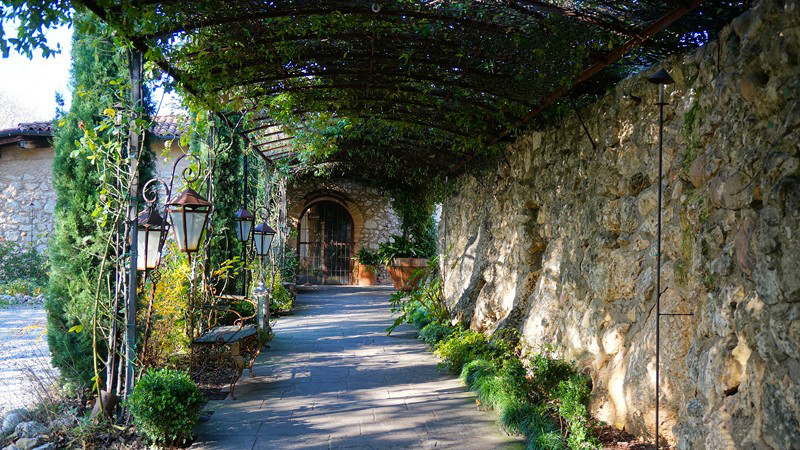 It's a romantic ancient villa with rose's garden and the dining room in an authentic medieval church. It has two restaurants inside up 400 seats. 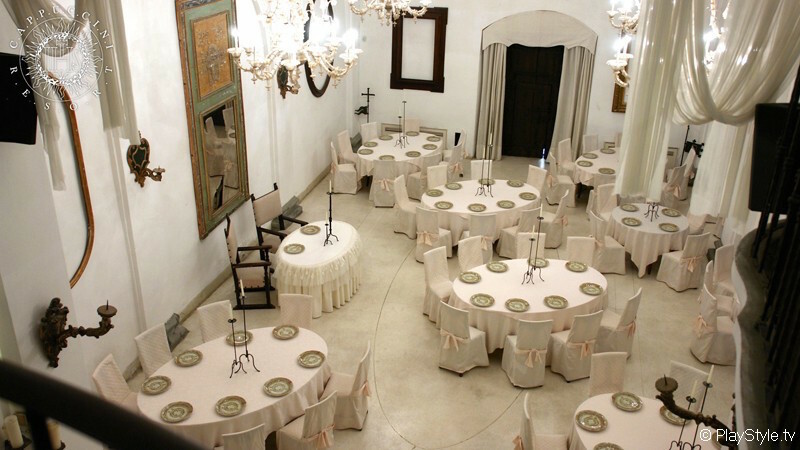 The Description The Relais' Conference Center has 4 meeting rooms from 15 to 250 people. The main conference room (400 square meters) is the old church of the Abbey.